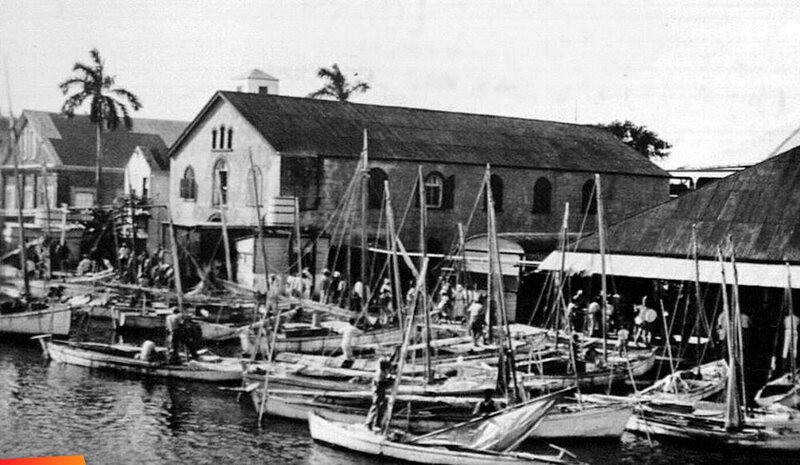 The Cuban style Sarteneja fishing boats were not yet in production. If you look at Captain Foot's building next door, you will see this in its original state. I just love seeing all those people moving about at the market at this end. I remember well that portion of the market (building) between the Fishermen's stall (just to the left here) and captain Foot building (low roof) - it was a long building separated into portions for different people to sell their various food, like plaintain beans, oranges, coconut, avacodo, etc.